As a wise man once said, "There's always money in the banana stand." And a few years after that banana stand burned down, some Midwest transplants decided to build their own banana stand in Portland. Since 2007, it's evolved into a record label (Banana Stand Media) and a secret venue (The Banana Stand) located in SE Portland where a team of music aficionados strive to document Portland's music scene through live recordings. Their efforts can be accessed on Banana Stand Media, which serves as a portal to their work and mission as well as an outlet for the crew to share photos, interviews (often conducted with the bands that perform at the 'Stand), and comments on new musical discoveries, local and otherwise. Through documenting their own growth and processes, it's also a bit of a resource for musicians and home recording geeks. The 'Stand also has plans to launch a Kickstarter campaign (soon! ), which "will fund production of a 1,000-unit run of live compilation CDs. The CDs will feature 20 different live tracks from bands like Tango Alpha Tango, Blue Skies for Black Hearts, The Angry Orts, Death Songs, Youth, Forest Park, Sons of Huns, The We Shared Milk, The Woolen Men—you know who we've worked with, you know who is on it." Hoping to defray expenses, the 'Stand says about $1,300 should We have expenses defray their costs, and "rewards will be compilation related, but will also include t-shirts and other CDs we've produced... and whatever else we can lay hands on." 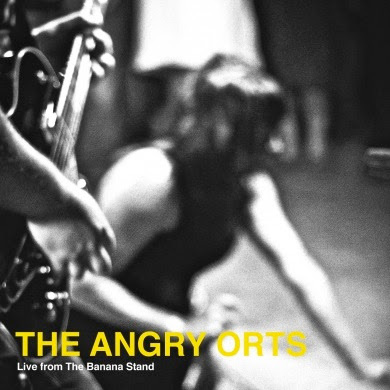 Until then, the 'Stand's next release (out on April 10th) comes from The Angry Orts. 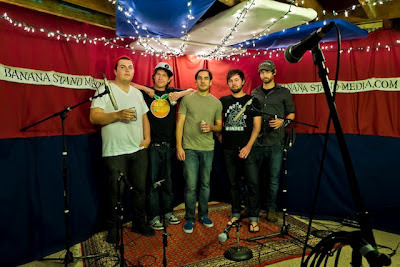 Recorded on September 24th, 2011, The Orts' Sara Hernandez told OMN that she remembers "a lot of warm, fuzzy feelings" from that night when the band played set composed of garage rocking cuts from their first two albums as well as laid down one new track. Number of shows that have been played at the 'Stand: 55 shows, 90+ live performances recorded. Number of people involved in putting on a 'Stand show: As many as a dozen for any one show. Number of people who fit in the 'Stand for a live show: 50-60, somewhat comfortably. Number of recordings the 'Stand has released: 35 EP- and LP-length live albums and a smattering of other live recordings. Number of songs/albums sold/downloaded to date: Our online players are accessed far more often than tracks are downloaded. To date, we've served 10,000+ plays and 500+ downloads. Frequency of releases: Every two weeks. Average time between recording and release: Several months, but we're working on it. Who started to the 'Stand and when? And who actually lives at the secret locale?